Christmas is a time for giving thanks for all that God has given us. During these times of economic anxiety and uncertainty for so many, it is important to invite you to share in our Christmas Wish program, which brings the joy of Christmas to hundreds of children and families. This program offers assistance to families in need here at St. John Parish, and to families at our sister parishes, Saint Katharine Drexel in Roxbury, St. Patrick in Lowell, and St. Patrick in Brockton, as well to families at Julie’s Family Learning Program in South Boston. Your help and generosity are truly far reaching! We thank you for every way that you are able to help – this program has been a great success, and your participation is very much appreciated! 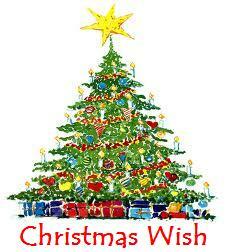 Purchase clothing and a specific gift for one child or for each child in a family. Approximate value of sponsorship is $50 to $100 for each child. 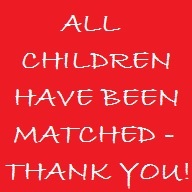 Help shop for children who have not been matched with sponsors, using funds donated to the program. Your financial contributions are used to purchase clothing and gifts for children who have not been matched with sponsors. You don’t need to be a regular user or create an account – anyone can make a One-Time Donation using a Credit/Debit card or a Checking/Savings Direct Withdrawal. Any funds not used at Christmas will be used at Easter or at other times of the year for St. John Parish families who are in acute need.